Setup Your Online CubeCart Store in Minutes! Whether you are a retailer looking for an online store or a webmaster seeking an ecommerce solution for a client. CubeCart is a powerful free ecommerce solution enabling thousands of merchants globally to sell digital or physical products online. MilesWeb team will help you to get your CubeCart website online in no time. Our best CubeCart hosting packages comes with preconfigured Apache, PHP, MySQL and other required components. Every client gets a free private SSL certificate for the CubeCart website with the option to add dedicated IP at an additional cost. Our shared hosting servers in India, UK and US are 100% optimized for running CubeCart websites. Now all you have to do is login and setup your CubeCart eCommerce Website. Why Choose MilesWeb for your CubeCart Store? CubeCart’s power and extensive features makes it resource intensive, our servers are optimized to ensure the swift and efficient functioning of your store. CubeCart is completely free to install and you can install it as many times as you wish, at no additional cost. MilesWeb provides you with your desired hosting package with free CubeCart installation. Worried about the data migration in changing CubeCart hosts? No problem — we’ll take complete responsibility of migrating your data from your existing provider, remove bugs and optimize your site for the best and fast performance from day one. CubeCart is a PHP based free shopping cart software. It can be easily integrated with any of our hosting packages to quickly setup a powerful online store. CubeCart is an user friendly eCommerce software with inbuilt order management facility and multiple payment gateway options. It is 100% search engine friendly and highly customizable. The look and feel of a CubeCart store can be easily customized by using CubeCart templates, themes, extensions and modules. How long does it take to set up a CubeCart hosting account? 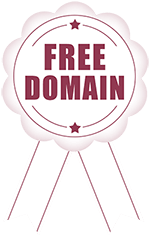 Are sub-domains supported on the eCommerce CubeCart hosting plans? Yes, sub-domains are supported; there is no limitations on the number of sub-domains supported on the CubeCart hosting account. Will I get assistance to move my CubeCart website across from another provider? Yes we will provide with complete assistance to move your CubeCart store. However the control panel with the old hosting provider and the one which you have with us should be the same. Is technical knowledge required for using CubeCart hosting? No. It can be installed and configured through an auto installer. You can access the features through the user friendly control panel. The applications included will help you to establish a website easily. CubeCart makes website management easy through the product management tools. CubeCart is pre-installed with Milesweb’s CubeCart hosting plans. What can be done with CubeCart web hosting? CubeCart is the perfect platform for setting up an impressive eCommerce website. More than one website can be hosted on your hosting account. CubeCart Hosting at just $1.11/mo.